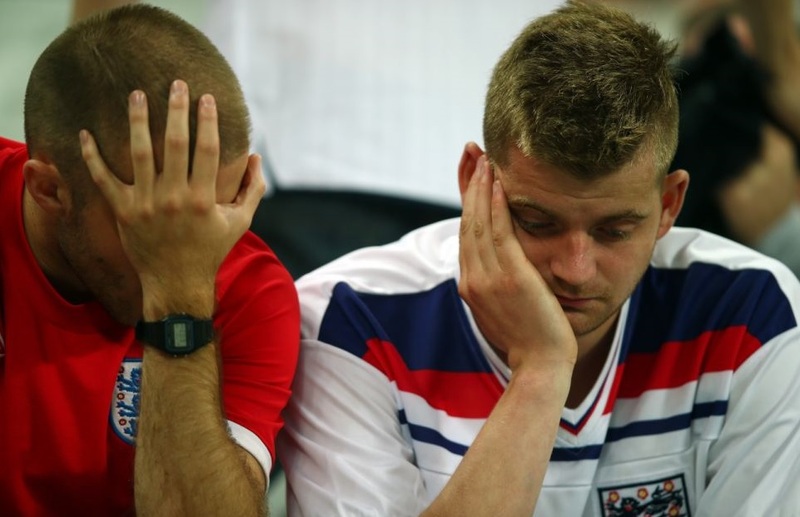 English Hooligans Devastated As They Qualify For World Cup – In Russia!! English football hooligans have been left devastated and distraught after last night’s victory over Slovenia confirmed their qualification for next year’s World Cup in Russia. Once feared all over Europe but now the laughing stock of the hooligan world, England’s top hoodlums are expected to spend the coming months making up excuses as to why they’re not going to bother going to the tournament. Just say the word “Russians” to the most hardened English football hooligan and you’ll immediately notice a small patch of wee appearing in his trousers. 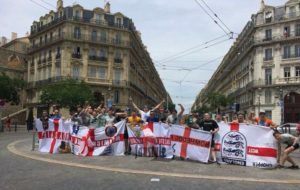 It’s just over a year since around 2,000 of England’s hooligan supporters were kicked up and down the streets of Marseilles by a small group of Russians at the European Football Championships in France. As if that wasn’t humiliating enough, the Russians then took the English fans flags and posed for photos while holding them upside down. After breaking for some light lunch and a couple of vodkas the Russians then kicked their English counterparts up and down the streets of Marseilles once more just for fun. The reputation of England’s football hooligans has been in tatters ever since and shows no sign of recovering. Several attempts have been made to restore their image but it seems the damage has been done. Last month when they played away against Malta in a World Cup qualifier, around 400 of their ‘top boys’ attempted to smash some chairs outside a bar on the tiny Island but they were chased off the premises and down the street by the 84-year-old owner of the bar. Video footage of the yobs running away soon went viral and the local pensioner became an internet celebrity and is now one of the most famous women in Malta. Meanwhile during a press conference at the Kremlin in Moscow this morning, Russian Premier Vladimir Putin said England fans should have no fear of travelling to his country next summer – although he did appear to be poking fun at them while making his government ministers laugh hysterically at the same time. Putin then removed his shirt, jumped onto a waiting horse and rode it around Red Square while holding up a huge Russian flag and singing “England Ran Away” to the tune of Football’s Coming Home.